RT Versatility 4 - clean and simple template with universal design from the design studio RocketTheme. RT Versatility 4 template supports installation on sites running CMS Joomla 1.5 and 2.5. In RT Versatility 4 has 10 styles with a variety of color schemes, as well as 45 module positions. 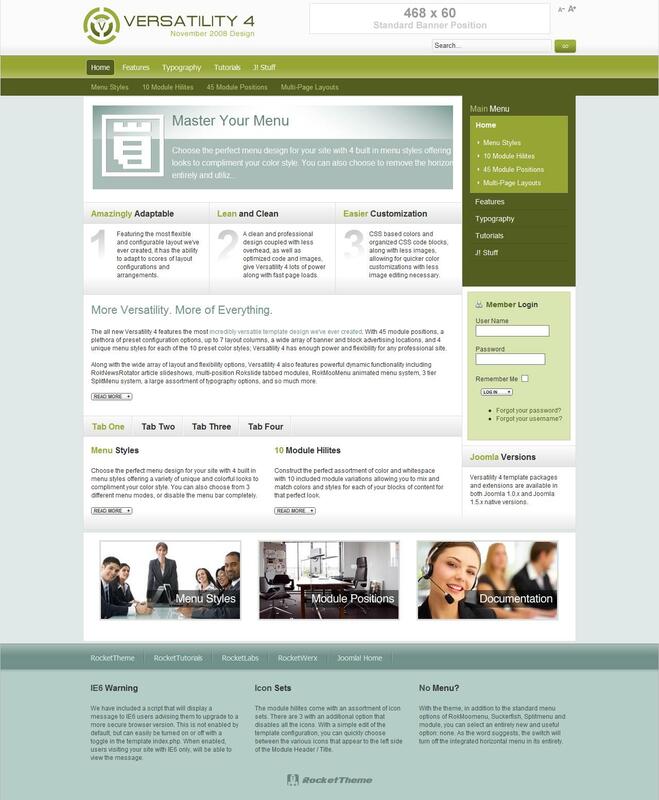 RT Versatility 4 template suitable for web site in any format and topics, such as RT Versatility 4 is a good option for both business site and portal for entertainment themes, ie pattern is universal.